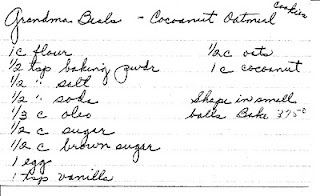 I suppose this recipe is a bit of a family heirloom, since it came from Grammy Gertie's maternal grandmother. 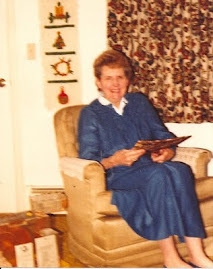 "My Grandmother Beal was not a big woman, but she worked hard. She raised five children. She was always very pleasant. She was a religious woman, and she was involved in Christian Science. I used to go and stay with her a lot in the summers when I was younger. That’s how I learned how to make butter, and work on the rug loom that I have a picture of now. I gave it to the museum in Lowell. I helped her with that. She was a nice gal."